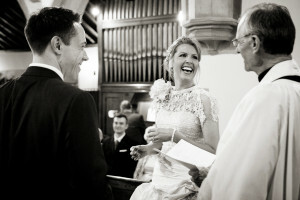 We are very happy to help you arrange your wedding here at Holy Trinity Church, Langdale. If you or a parent, either live or used to live in the valley or were baptized or (in the case of parents) were married here, you have a right to be married by Banns. 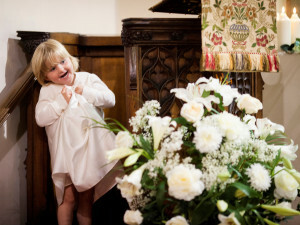 It may also be possible if you attend services a certain number of times before the wedding. In addition, some couples wish to marry in a church or area which is specially meaningful to them, but with which they have no such “qualifying connection”. These marriages can also take place but will need either a Common Licence or a Superintendent Registrar’s Certificate. The Church of England website has extensive information about marriage. Further information about the legal aspects of marriage is available here. Simply scroll down the pictures and click on “Banns” and also the one entitled “Superintendent Registrar’s Certificate” and any others which are useful.. There is information about costs here. Various local organists are happy to play. We can provide you with a choice. Fees vary. At present there is no local choir available. 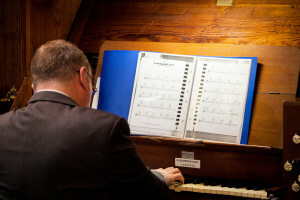 There is also a piano in the church and a CD player which can be used for music of your choice, if required. ( gandks@btinternet.com ) (015394) 37216. The cost is £120. The Flower Shop (Lily Lou’s) in Ambleside (015394 33121) is good. Alternatively you may wish to arrange them as a family, or engage another florist. Obviously the flowers are yours to take away, but if you are able to leave a bunch in the church for the next Sunday’s service they would be gratefully received. The marriage Vows and Registration and one Bible reading are essential, but apart from that: choice of hymns/songs, readings etc. is entirely up to the couple. Most people make up their own orders of service in consultation with the vicar, and either home-print it or have it done professionally. A selection of previous orders of service are available if you would like some ideas. We are required to charge a statutory fee for the wedding and the publication of Banns. The fee is split equally between the local parish and the Carlisle Diocese. We normally put out a plate at the back of the church during Wedding Services for attendees to donate to the church on their way out if they so wish. For a Blessing of Marriage, we ask for a donation towards the upkeep of the church. Any biodegradable confetti or petals may be used. Couples are asked to attend a Marriage Preparation weekend at some point before their wedding. These are held twice a year in combination with St Mary’s, Ambleside, and Holy Trinity, Brathay. A couple of trained relationship counsellors guide attendees through 4 sessions which look at various issues that tend to crop up during marriage. The course is a condensed version of a well-known national course that has been found to strengthen many marriages. This usually takes place on the evening before the wedding. It is a brief (c.35mins) run-through of the main parts of the service to check audibility, where people stand etc. It involves the bride and groom, bride’s father, best man, bridesmaids if possible, and any readers (but any other family or friends are quite welcome). Please direct inquiries to the Vicar, George Wrigley.